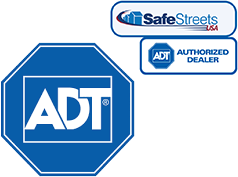 There are tons of choices when it comes to home security systems. You could spend hours just choosing the right equipment! Although deciding which cameras and sensors to use in your home is important, it’s even more important to take the time to decide if you want a system that is professionally monitored or self-monitored. When many people start shopping around for a home alarm system, they automatically assume that the system is professionally monitored, and many of them are. This means, if a sensor is tripped while the alarm is activated, a professional service representative from the home security company will check in with you and your property, and dispatch police to your residence if necessary. This is a great option if you aren’t interested in keeping tabs on your property yourself. It’s a great option for people who want to leave home knowing they don’t have to check in all day because their property is protected. After doing a bit more digging, you’ll start to realize that not all systems are professionally monitored. Some systems are self-monitored instead, which means you’re completely responsible for keeping tabs on your property. Instead of the home security company contacting you about a break in, you will be notified by your system, giving you the freedom to choose what you do with the information. It can be a pain if you’re in the middle of a meeting and there’s a break in at your home, but it can also save you a lot of grief. If the alarm was tripped by an animal, you don’t have to worry about dealing with the home security representative or the authorities. This type of system is an especially good choice if your primary concern is keeping an eye on the comings and goings of your family. These types of systems also tend to be more affordable than traditional professionally monitored systems. No one way of monitoring your property is better than the other, but it is important to make sure you understand what each provider offers before you buy, as it isn’t always easy to tell by browsing their website. In some cases, you may be able to add professional monitoring to a system that’s primarily self-monitored. Just make sure you do your homework so you don’t get stuck with a system that isn’t right for you.